Achieving Results for Over 21 years! Call Now For Affordable Results! Kenneth Brock Law Office is dedicated to offering affordable divorce and family law services for the Denver metro area. With more than 21 years of effective, representation and seasoned advice. 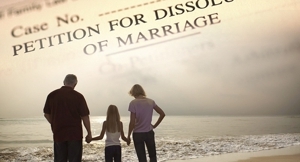 Our legal team practices a number of spousal and family cases. We help spouses seek protective orders in domestic dispute cases, provide mediation for divorce cases, and help protect the individual rights of children and families in regards to custody and alimony issues, among other family law matters. In guiding people to cost-effective resolutions of their family law matters, Ken Brock and staff will represent our clients every step of the way with personalized legal representation. For straightforward and direct advice, trust Kenneth Brock Law Office to tailor legal needs to your particular situation. Contact (720) 370-5167 for an initial consultation. Copyright © 2018 kennethbrocklawco.com All rights reserved.